A disgraced paleontologist struggling to raise her son is tipped off to a groundbreaking dig site in the Badlands によって a recovering meth addict, but his tie to a cartel threatens to bury them both under the weight of their criminal pasts. 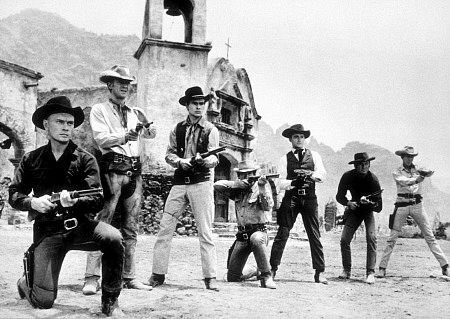 WESTERN 映画 : Starring Yul Brynner, Eli Wallach, Steve McQueen. Directed によって John Sturges ?